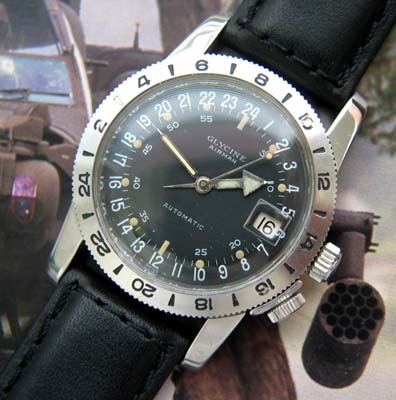 This vintage Glycine Airman watch, is a design dating to 1953. 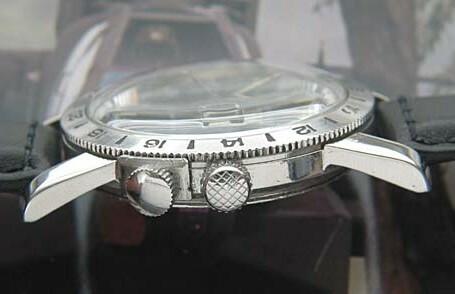 The dial is rather simple in its purpose, it shows time in full 24 hour format, one rotation of the hour hand for a full day. 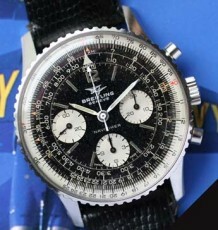 These watches were quite popular during the Vietnam War as servicemen living on Military time, were able to read the time directly off the watch. The Glycine Automatic movement was just serviced and is keeping excellent time. 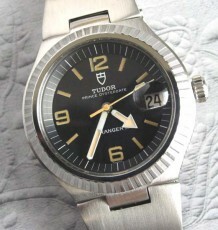 The all original dial is a very early example as the Glycine crown logo was added to later models. 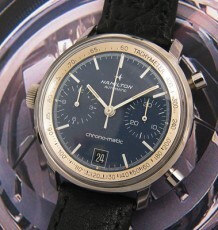 The watch still features the factory original crowns, one for winding and setting the time and the other for locking the rotating bezel for referencing a second time zone. 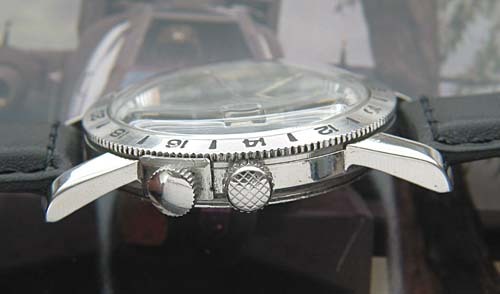 The watch case is in very good condition with some minor tool marks on the caseback. 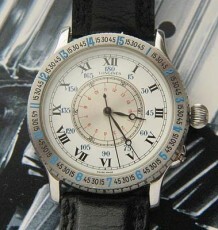 The all steel watch case measures 36.5 mm wide by 46 mm long and is supplied on a black leather strap.